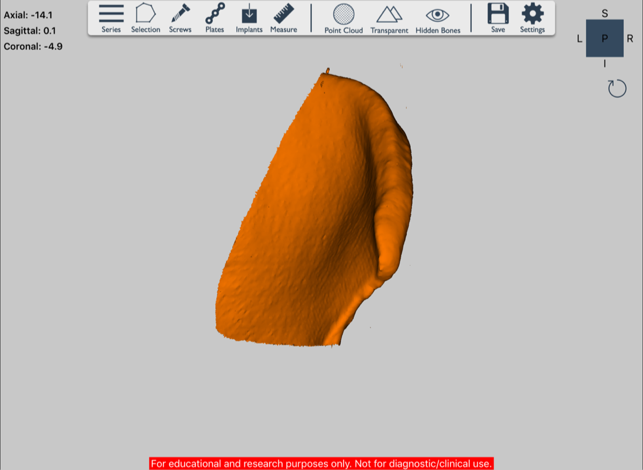 OSSA 3D is an easy-to-use, fast and affordable medical 3D printing software that provides automated 3D model and implant generation with the touch of a finger. 1. 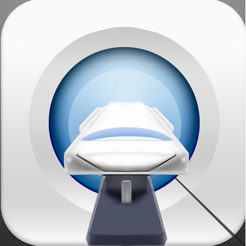 Patient's own CT DICOM images are anonymized and uploaded to the iPad app (Secure and HIPAA Compliant). 2. Automated Digital 3D Model Creation with the Touch of a Finger (In seconds. 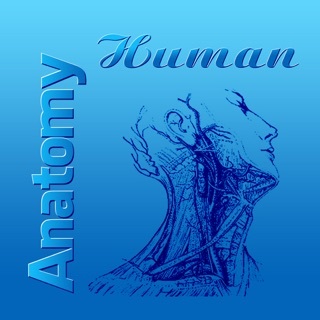 Any anatomical area is possible. Selection tools help to optimize print size and cost. Accuracy meets industry standard). 3. 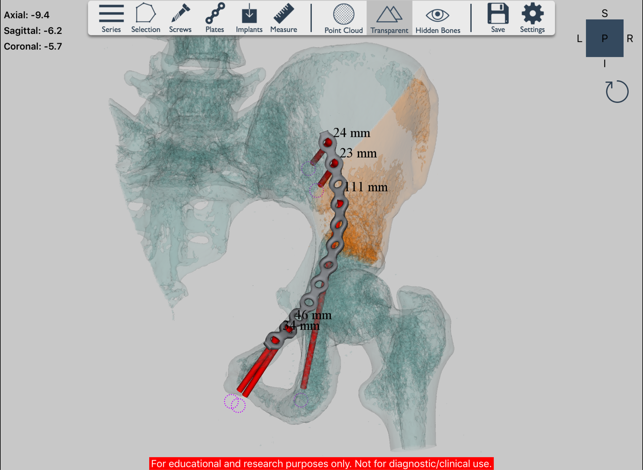 Patent pending sketch and sculpt interface allows for interactive design of custom implants (From “natural” 2D sketch input to 3D shape output in seconds. Perfect custom fit). 4. 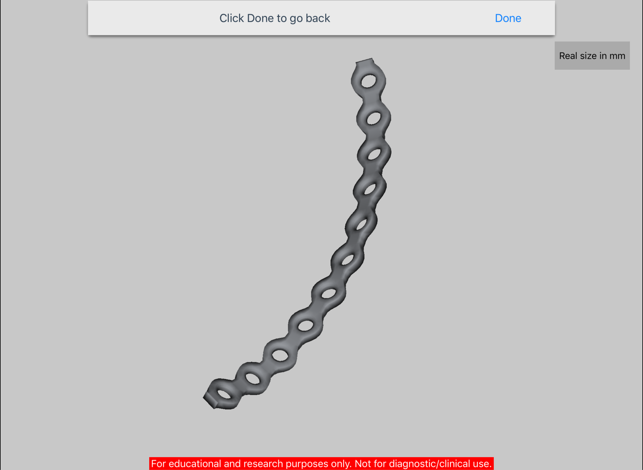 Export “print-ready” .STL files for validation to your hospital's 3D print lab, service bureau or your own office desktop 3D printer (Digital output also allows for virtual surgical planning and easy integration into VR/AR platforms). 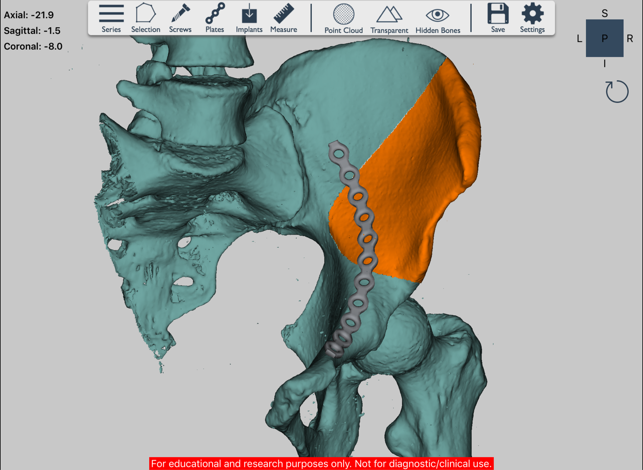 The OSSA 3D software is FOR EDUCATIONAL AND RESEARCH PURPOSES ONLY and NOT FOR DIAGNOSTIC/CLINICAL USE. IN NO EVENT SHALL THE APPLICATION PROVIDER BE LIABLE FOR ANY PERSONAL INJURY, DEATH OR FOR ANY INCIDENTAL, SPECIAL, INDIRECT, PUNITIVE, EXEMPLARY OR CONSEQUENTIAL DAMAGES WHATSOEVER. 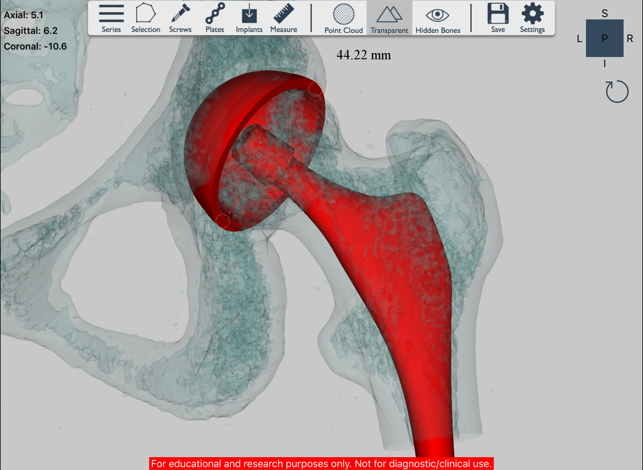 The OSSA 3D software is HIPAA and HITECH compliant featuring: secure passcode protection, download and model content encryption; ensuring patient privacy and security. Patient CT DICOM data must be anonymised by the user prior to being uploaded via cloud (to personal Dropbox or Google Drive). This app is optimized for iPad 3 or later and iOS8 or later. Visit http://www.conceptualiz.com/Support.html to learn how to use the app. Copyright © 2017 Conceptualiz Inc. All rights reserved. I have had the chance to work with this app on an iPad 3, and it has run smoothly with a large dataset. My work has been largely soft tissue defects in the head and neck area. It is a very straightforward matter to import my DICOM data, select my target region and manipulate to get to the 3D model I need to create. The export to STL is also quite easy. My team had the chance to use Ossa 3D and Mimetics software head to head, and for our work, Ossa 3D produced the same result in much less time and with very straightforward workflow. This is a must-have for anyone interested in 3D planning. Great job! Requires iOS 9.0 or later. Compatible with iPad Wi-Fi (3rd generation), iPad Wi‑Fi + Cellular (3rd generation), iPad Wi-Fi (4th generation), iPad Wi-Fi + Cellular (4th generation), iPad mini Wi-Fi, iPad mini Wi-Fi + Cellular, iPad Air, iPad Air Wi-Fi + Cellular, iPad mini 2, iPad mini 2 Wi-Fi + Cellular, iPad Air 2, iPad Air 2 Wi-Fi + Cellular, iPad mini 3, iPad mini 3 Wi-Fi + Cellular, iPad mini 4, iPad mini 4 Wi-Fi + Cellular, 12.9-inch iPad Pro, 12.9-inch iPad Pro Wi-Fi + Cellular, 9.7-inch iPad Pro, 9.7-inch iPad Pro Wi-Fi + Cellular, iPad Wi-Fi (5th generation), iPad Wi-Fi + Cellular (5th generation), 12.9-inch iPad Pro (2nd generation), 12.9-inch iPad Pro Wi‑Fi + Cellular (2nd generation), 10.5-inch iPad Pro, 10.5-inch iPad Pro Wi‑Fi + Cellular, iPad (6th generation), iPad Wi-Fi + Cellular (6th generation), iPad Pro (11-inch), iPad Pro (11-inch) Wi-Fi + Cellular, iPad Pro (12.9-inch) (3rd generation), iPad Pro (12.9-inch) (3rd generation) Wi-Fi + Cellular, iPad mini (5th generation), iPad mini (5th generation) Wi-Fi + Cellular, iPad Air (3rd generation) and iPad Air (3rd generation) Wi-Fi + Cellular.